“Everything was going according to plan: I signed a record deal and dropped out of college, I got to make an album, tour the world, have countless and unforgettable experiences… And as corny as it sounds, I was truly living my dream – but it didn’t last,” shares Tor Miller in his auto-biographical mini-documentary. 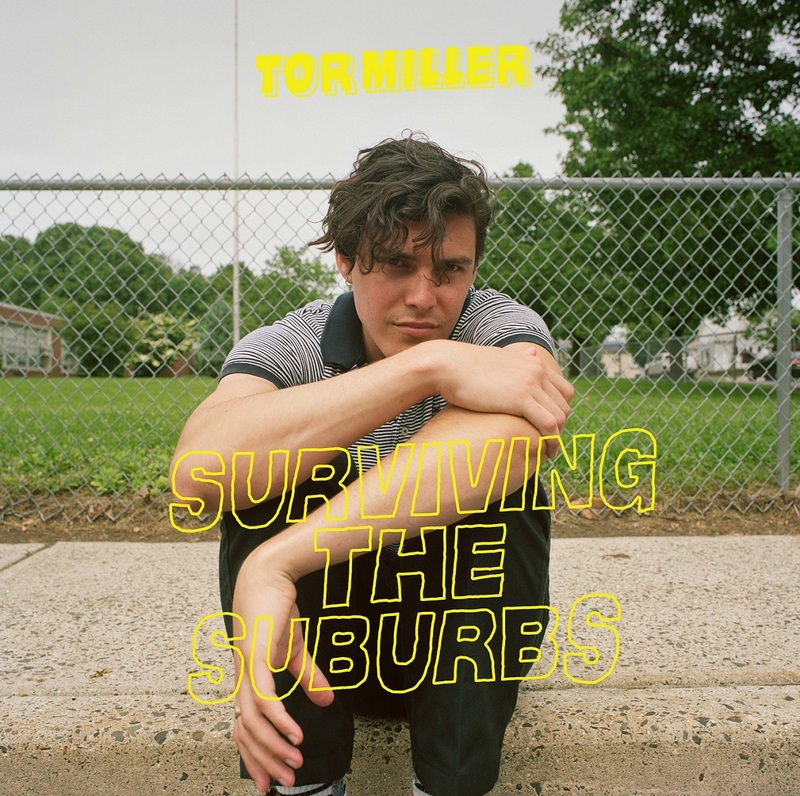 Two years later, Tor Miller has returned energized and empowered on his sophomore effort Surviving the Suburbs, a classic rock record for the modern age. The album brings Miller’s rock singer/songwriterdom to new heights as he dives deeper than ever before, pushing himself lyrically, melodically, and vocally as he strips down to a bare, vulnerable core. Tor Miller’s second album finds him returning to his roots, literally. 2016 was a whirlwind year for him, but eventually the storm calmed; at some point in 2017, he was finished touring and found himself moving back in with his parents, uncertain of his future and feeling like he had taken one step forward, but several steps back. Miller’s new songs find him coming to terms with the reality of his situation: Being back in a familiar, relatively static, unchanging and at times, oppressive environment he thought he’d left behind for good. “We drive and we drive and we drive, but we can’t get out… can’t get out of here,” he sings in the title track, struggling with the fact that his past is now his present. From boredom to drugs, to friends have babies at young ages and his own commitment issues, Tor Miller doesn’t hold back. His songs are an intimately honest portrayal of a life so many millennials know only too well: Crushed dreams and unrealized expectations. Narrating the life and times of his second album, Miller speaks freely about his frustrations and insecurities. “The more we feel like none of it really matters, the more reckless our actions become. The cyclical nature of this existence has started to unnerve me. I am caught between my past and future lives; I wander the world of my high school self as some bastardized young adult, caught in a teenage purgatory.” We are flies on the wall of his most expressive and candid diary entries, wrought with passion and poetic insight. With Surviving the Suburbs, Tor Miller may have very well earned his second ticket out of his personal limbo, at least for a little while. In truth, Miller’s story – one he and director Jesse Bronstein so vividly document in this new video – is a familiar tale for countless hard-working artists. Success, however you define it, takes determination, talent, and a lot of luck. Miller’s proven himself to have a lot of the first two, and by the looks of things, the tide may very well be swinging back in his favor. Watch “My Life Surviving the Suburbs” exclusively on Atwood Magazine, and be sure to get your ears on Tor Miller’s fantastic sophomore album, out now!